On this episode we discussed Polyamory dating and relationships! How does identifying as “poly” work when it comes to dating? What does that look? What is the actual definition of Polyamory? How do you identify other poly identified individuals for relationships and/or dating? What rules exist or should exist in poly relationships? 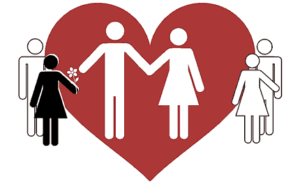 how is marriage viewed in poly relationships? What’s the difference between polyamory and polyagmy? Take a listen to our latest episode and feel free to share your thoughts!